Oil Derrick once featured a multi-lane slide. 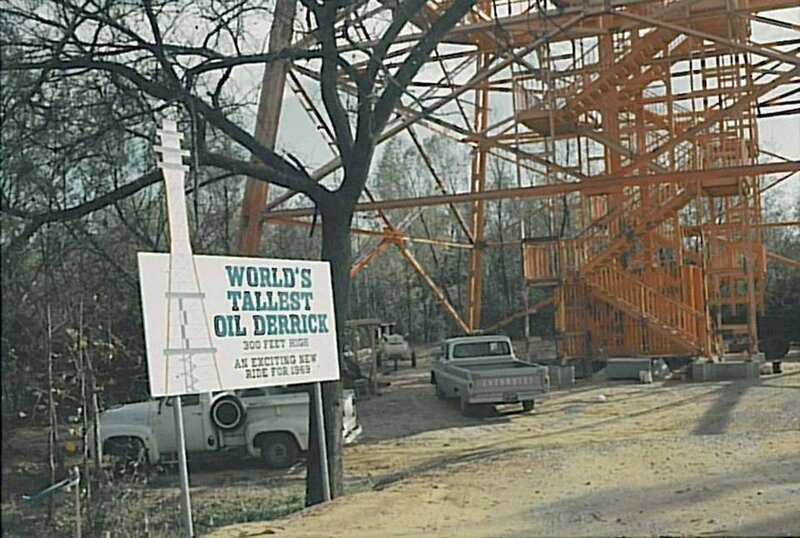 When Oil Derrick opened in 1969, it featured a 12-lane covered slide. The slides connected to the Oil Derrick's first level at approximately 47 feet tall. 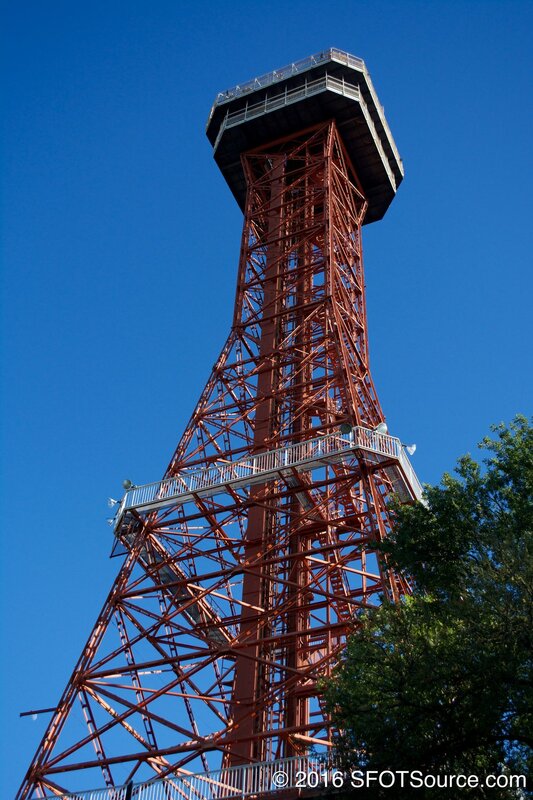 The slide feature only lasted until 1975 when it was disassembled from the side of the Oil Derrick structure. 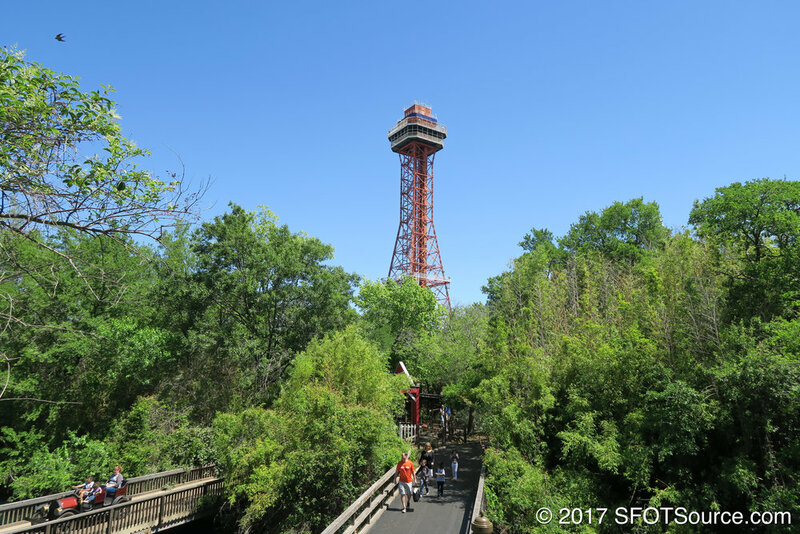 Take a look at Oil Derrick next time you visit the park. The first level of railing is where guests boarded the slides. In the early years of Fright Fest, a huge inflatable gorilla could be seen climbing up the side of the Oil Derrick. The gorilla was eventually replaced by a spider that had the same effect. In recent years, Oil Derrick has not had any Fright Fest decor but the ride has stayed operational instead of being closed. For Holiday in the Park, Oil Derrick sports a huge star that sits in front of its observation decks. After the removal of Texas Chute Out, Oil Derrick took on the job of also dressing up like a light strand Christmas tree. 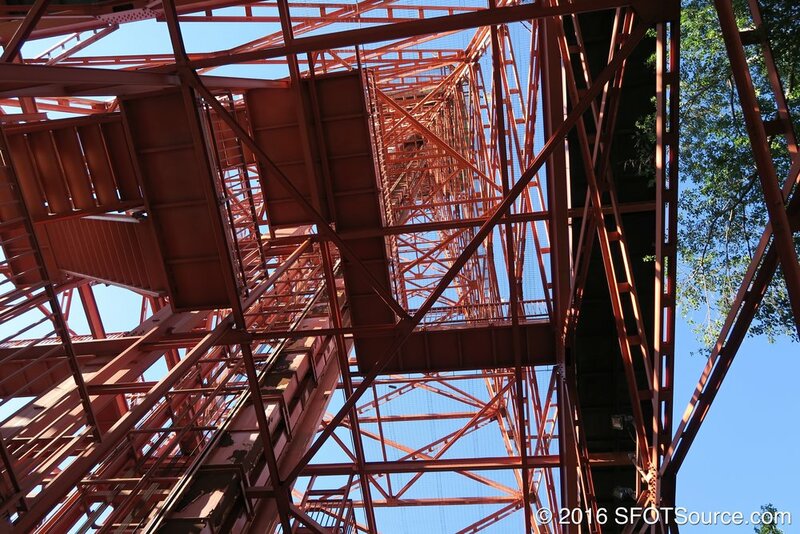 Oil Derrick is open to the public after two years of elevator rehabilitation. Oil Derrick receives a paint job: International Orange (the same color used on the Golden Gate Bridge). Oil Derrick receives a paint job: International Orange. 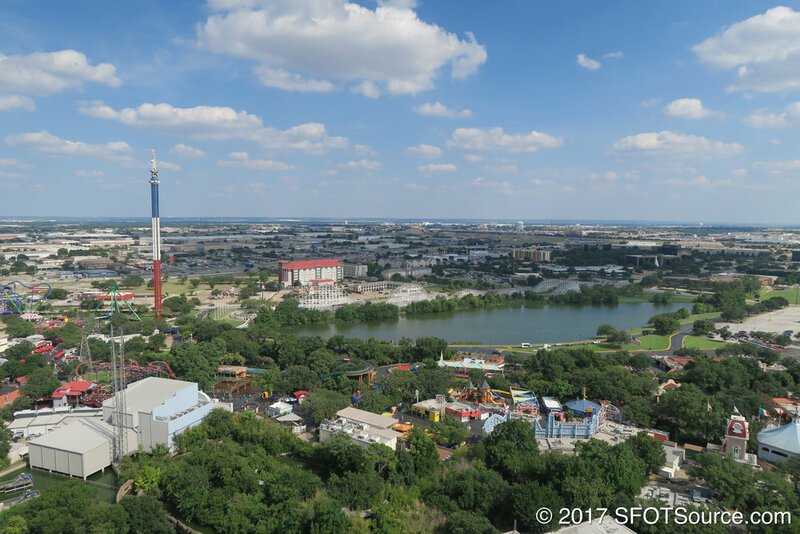 The attraction is closed all season while its elevator system is rehabilitated.